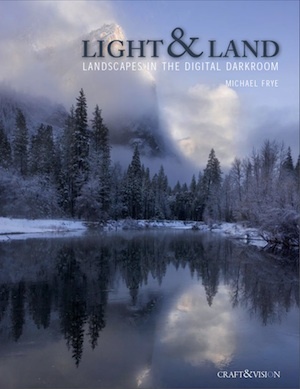 Light & Land eBook Available Today! It’s easy to find information about Photoshop, Lightroom, or just about any other aspect of the digital darkroom. But too often this information consists of random tips and tricks. So I asked myself how I could help people put it all together. How could I help photographers develop a simple, powerful workflow, learn to make good decisions about how their photographs should look, and convey their original inspiration? And that’s when I had the idea for this book. In Light & Land: Landscapes in the Digital Darkroom I’ll take you step-by-step through each decision as I process five different images in Adobe Lightroom. You’ll see my workflow in action, and I’ll explain why I use particular techniques in a particular order. But more importantly, you’ll come to understand the esthetic judgements behind each decision—how a certain amount of contrast conveyed my vision, or why too much saturation muddied the color rather than enhanced it. 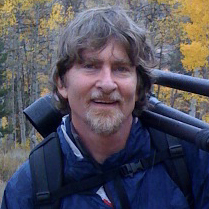 As you look over my shoulder you’ll gain insights about how to convey your own unique vision, and how to squeeze every ounce of beauty, emotion, and inspiration out of your photographs. 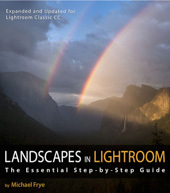 While I use Lightroom for these examples, the basic principles apply to any software. Learning how to make good decisions and find the right balance is more important than learning any particular tool or technique. This eBook is published in conjunction with Craft & Vision, David duChemin’s great photography eBook site. Like all their eBooks, Light & Land is normally only five dollars. But for the next four days you can get it for only four dollars. Just use the code LAND4 at checkout. Or use the code LAND20 to get 20 percent off if you buy five or more Craft & Vision eBooks. Thanks for your interest Peter. Light & Land is 35 pages, which are roughly equivalent to double-page spreads in a print book, so similar to a 70-page print book.